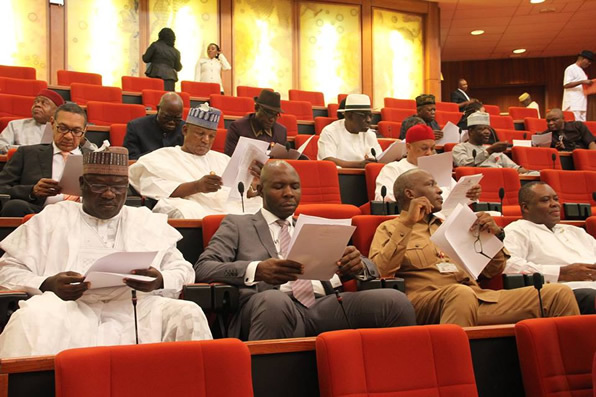 The report by the investigations conducted by the Joint Senate Committee on Customs, Excise and Tariff and Marine Transport into the alleged revenue leakages in the import and export value chain, valued at N30tn, is due for presentation, According to report. A member of the committee, who spoke to our correspondent on condition of anonymity, said the findings made by the panel “will shock Nigerians” when eventually published. The committee had presented an interim report in 2017, in which it said it had recovered over N140bn from banks and companies. In the report presented by the committee’s co-chairman, Senator Samuel Anyanwu, the panel said some banks had remitted N128bn to the Central Bank of Nigeria, while some of the 60 companies investigated, voluntarily paid N12bn into the Federal Government’s coffers. The report, which was adopted by the Senate, said the recovered funds had been deposited with the Central Bank of Nigeria. The probe was based on the adoption of a motion titled, ‘Urgent Need to Examine the Operations of the Nigeria Customs Service Revenue Drive’, adopted on November 15, 2016.